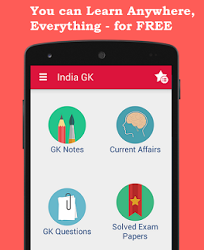 13th, 14th August 2016 Current Affairs MCQs, Quiz, Questions: Current Affairs for August 2016, Daily Multiple Choice Questions (MCQs) for India GK, World GK and current affairs with Collection of daily objective type Question by www.Indiagk.net based on General Knowledge (GK) and General Science (GS) Questions for UPSC, State PSC, SSC, Police exam, Railway exam, SBI, Bank PO, IBPC, SSC, LDC, UDC, Army, Airforce, Navy, Coast Guard, Bank Clerk, TET and all entrance examination with current affairs News, Multiple Choice Questions (MCQs) available on Website www.IndiaGK.net and Android Apps with daily updates:. Wang Yi, Foreign Minister of which country meets PM Narendra Modi on 13th August ? Which State Government has decided to make Aadhar Card mandatory for procurement of paddy from farmers? As per New Study by NASA which Planet may have once been habitable ? Smart Ganga City Scheme Launcehd in how many Cities on 13th August ? Which Indian Bank recently sign MoU with Korea Development Bank ? Who becomes first Indian Track Athlete to Reach Olympic Finals Since 1984 ? Who will ring NASDAQ bell to mark India's Independence on 15th August ?